Autumn can be a brutal time of year if you’re sensitive to mold and ragweed. And if those aren’t enough to keep you up at night, how about hay fever, leaves, dust mites, bacteria, cleaning by-products and more. And while allergy problems are not exclusive to the autumn, this is one time of year that causes people extra problems. Here’s a look at a few of the more common fall allergies. News flash: hay fever has nothing to do with hay. It’s simply a term used to describe the symptoms of late summer allergies. Ragweed, a common cause of hay fever, usually begins to pollinate in mid-August and can continue to be a force of misery until the first hard freeze. The longer the weather remains warm, the more allergy and asthma sufferers are likely to struggle. Mold spores also penetrate the air on days with high humidity or on warm and windy days. Raking leaves and other outdoor lawn and shrub care can send pollen and mold flying up into the air to add to your allergy woes. If you must rake, get yourself a good allergy mask. Dust mites are common indoor allergens that live and multiply in warm, humid places. During the summer months they tend to congregate in air ducts. 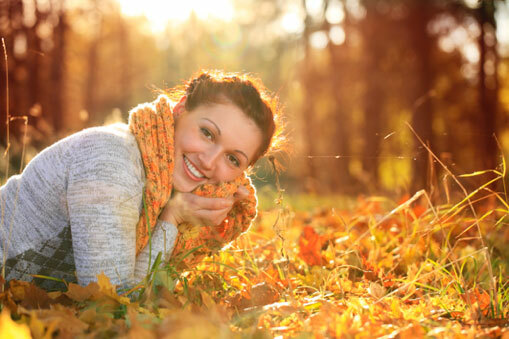 So when you turn up the heat this fall, be sure to first do a thorough cleaning to avoid spreading dust all over. We offer several indoor quality air quality issues that can rid your entire home of 99% and more of all indoor allergens, pesticides, dust mites, bacteria, and other indoor pollutants. Now and always, Air Professionals can help you feel much better indoors with our assortment of indoor air quality solutions. A whole-house air filter, for example, can remove 99% and more of indoor allergy-causing pollutants not to mention other airborne contaminants. With a whole-house humidifier from Korte, you’ll enjoy added comfort and ongoing relief from dry hair, itchy skin, static electric shock, upper respiratory ailments and more. So if you or a family member isn’t feeling your best at home, contact Air Professionals today for a complementary indoor air quality assessment and proposal.